Cara and John had a baby! Yeah! I think if the Turners and their friends moved to a commune together and had to live off the land and our resources we could! The desserts were all made by friends, and Cara got a TON of homemade baby clothes and blankets. Their beautiful baby girl has a green room, and pink and brown accents. So - the cookies had to match! Cara did a great job at capturing the detail for me. They taste as good as they look too! Our wonderful friends Michelle and TJ were blessed with a beautiful baby boy named Tyler in December. I made cookies for Tyler's baby shower in January. They did Tyler's room in Red, white and blue with a kind of Stars & Stripes / USA theme. I wanted the cookies to go along with what they chose for their colors/theme. Note: I didn't make the cupcakes...They were from another guest, and matched perfectly! 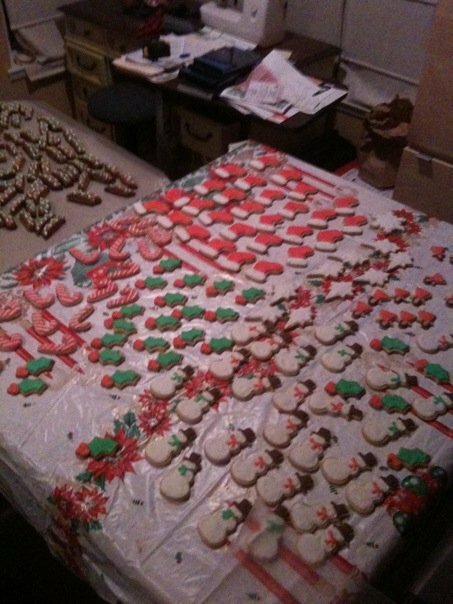 I wasn't aware that I was going to set up this site, so I didn't take such great pictures of the cookies I do for Christmas, but here is a picture I quickly posted on facebook when I was halfway through. Here you can see a good amount of the frosted butter cookies I did, as well as the gingerbread biscotti to the left (Which I put some royal icing on). I make a LOT of cookies for the holidays, and I package them in boxes and give them out a work and to friends as holiday gifts. I try to do a new cookie every year, and am open to taking holiday orders! 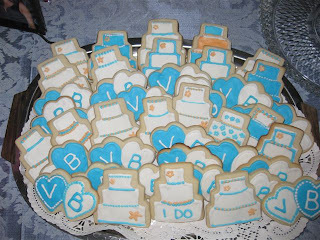 For our wedding in September I made 2 types of cookies. Hearts, with our initials, and a 3-tiered wedding cake cookie, with our colors. 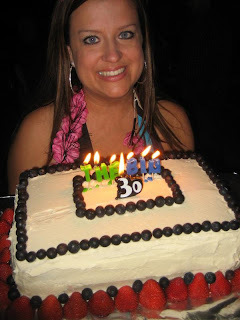 I was asked to make the cake for Amber's 30th birthday. She asked for a particular cake/frosting, so I got creative. Wasn't bad for my first cake! 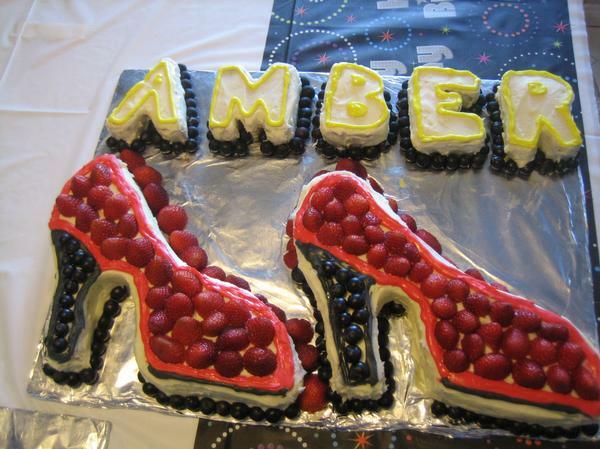 Amber LOVES shoes...So I made her a shoe cake and spelled out her name. I was afraid that there wouldn't be enough, so of course I made a second cake, more pretty and structural. I've started this website at the insistence of friends and family. I started baking and decorating cookies about 10 years ago, and have only begun to sell them. All the decorated cookies you see are butter cookies with royal icing. I can pretty much do any type/design, and all orders are custom to the client. As I design new cookies for different parties/events, I'll be sure to photograph and post them. I am originally from NY...so I am funny, sarcastic and at times very impatient. I think New Yorkers have a different mentality and humor. Anginettes are an italian cookie that is made with Annisette. I made anginettes with my grandma dozens of times and am one of the only people in my family who knows how to make them. My grandma didn't teach me how to make the cookies which will mostly be featured on this site, in fact the recipe for the actual cookie is from my mom. However, the time spent baking with her I look back on fondly, and sparked my love for baking.